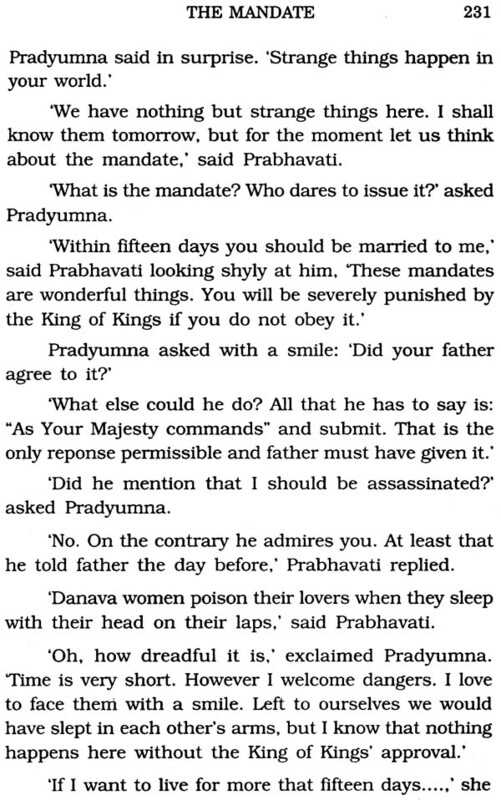 This book, The Book of Vedavyaasa. 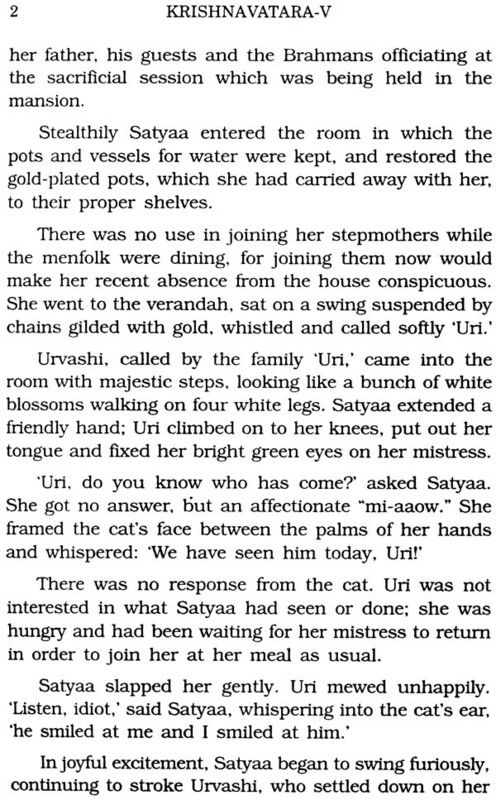 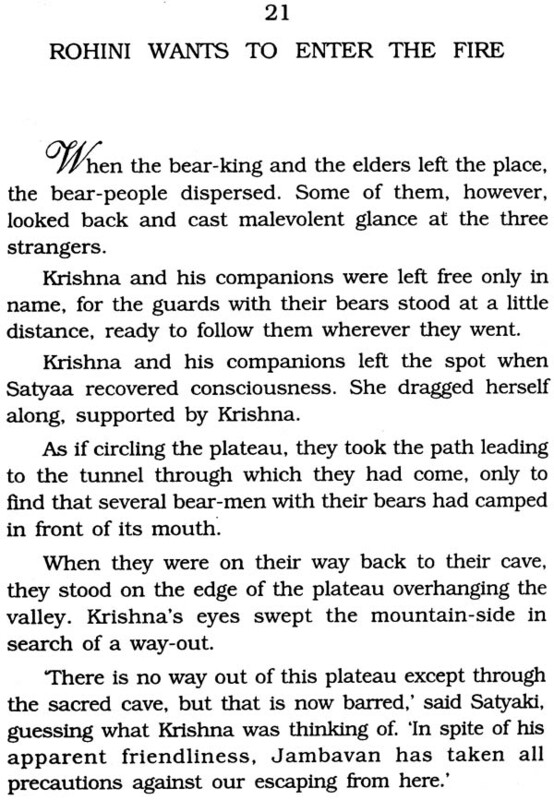 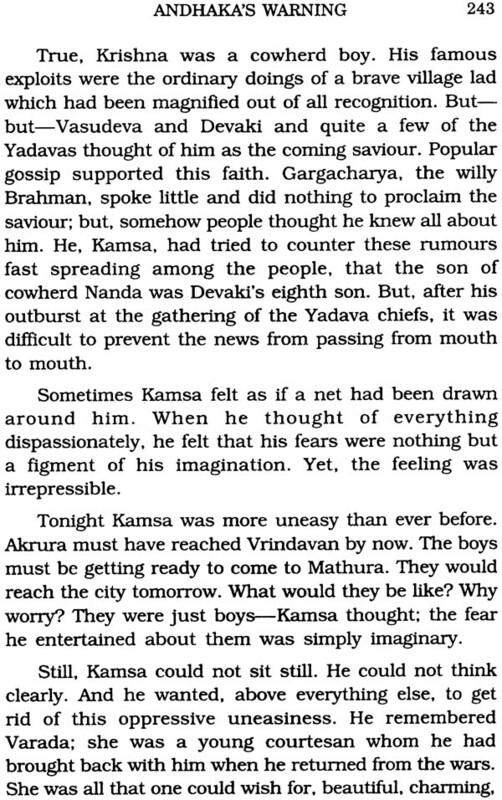 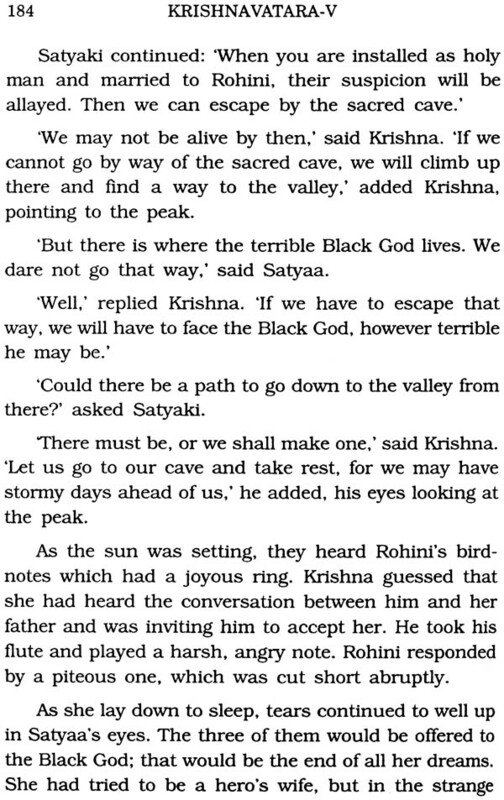 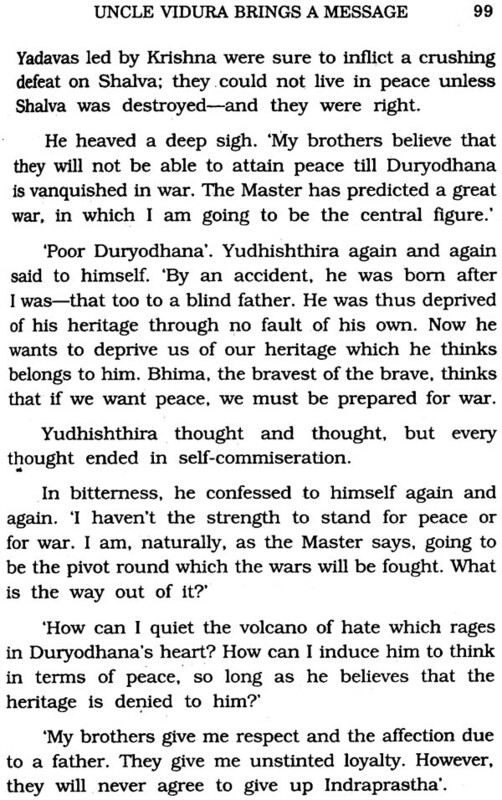 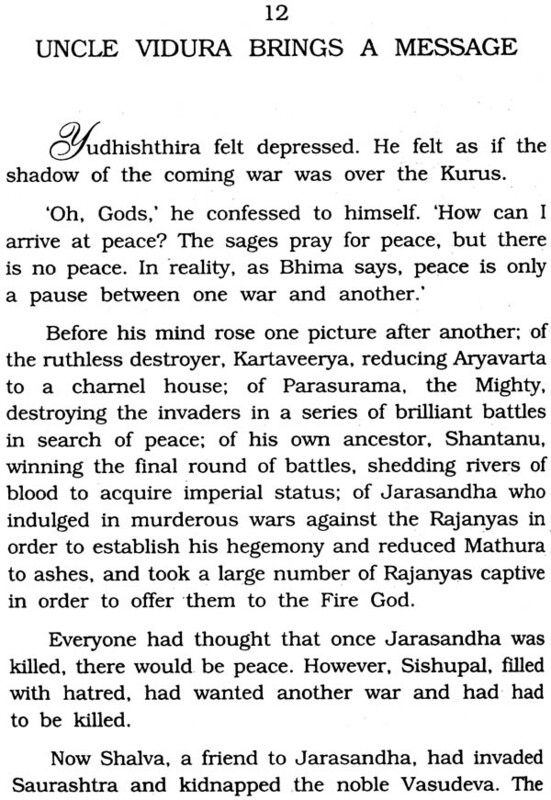 the Master, should have been the prologue to the whole of the Krishnavatara series. 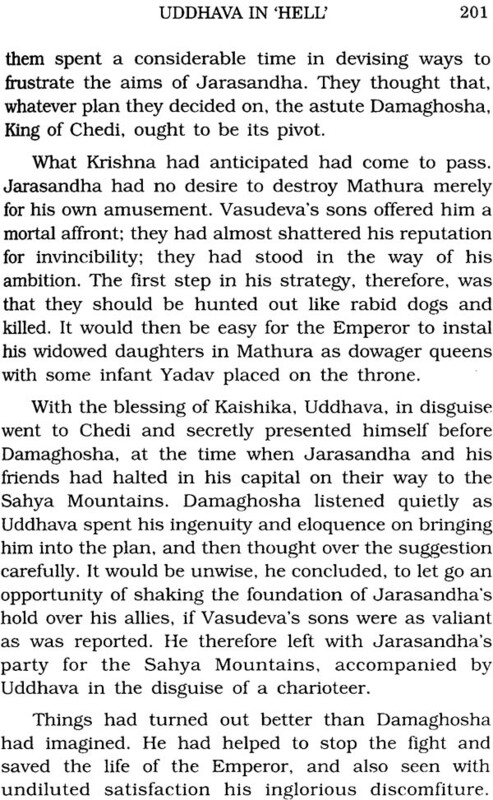 As I struggled with the reconstruction of Sri Krishna's life recorded in the Epic and the Puranas, I felt that its background, represented by the life span of the sage Veda Vyaasa, was a necessary prologue to Sri Krishna's life and achievements. 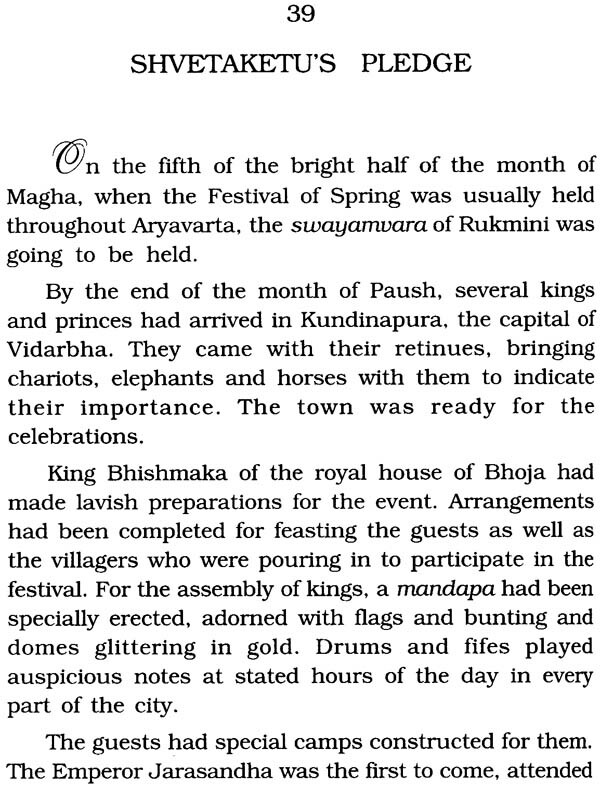 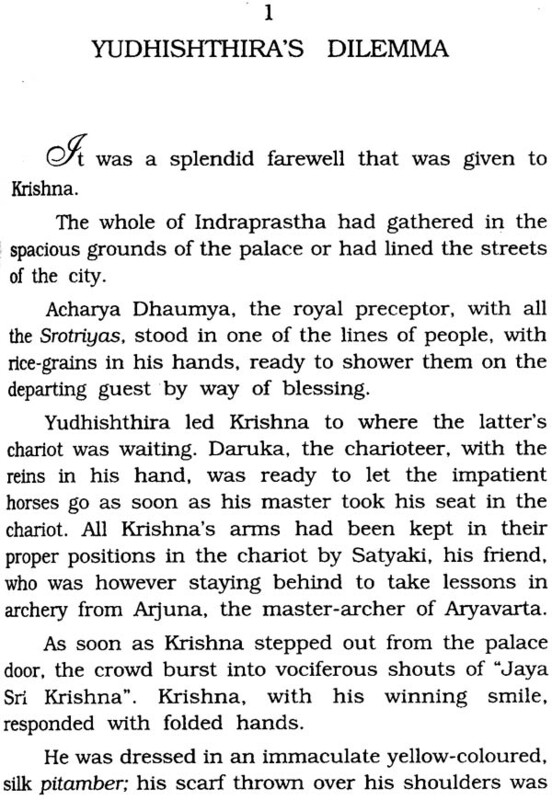 The Mahabharata refers briefly to the birth of Dvaipaayana Vyaasa. 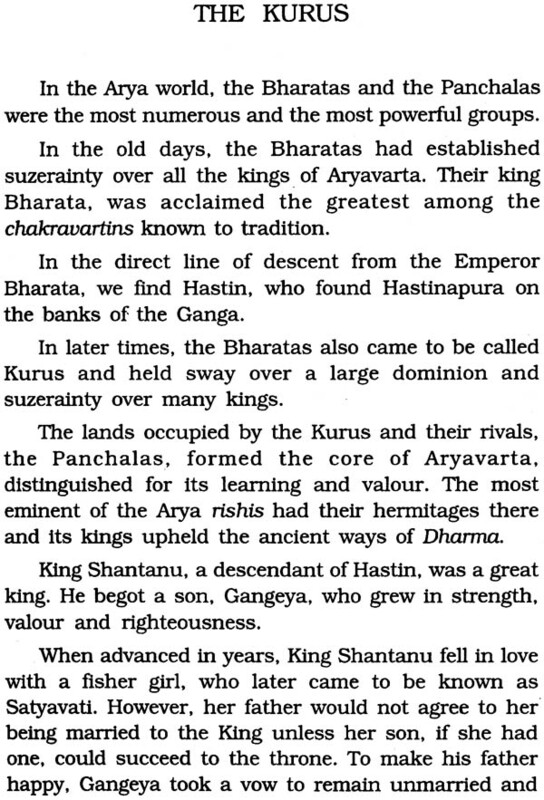 He emerges about sixty years later as a highly revered sage, the redactor of the Vedas, the embodiment of dharma, whose advice was sought by the Kuru elders and the Pandavas. 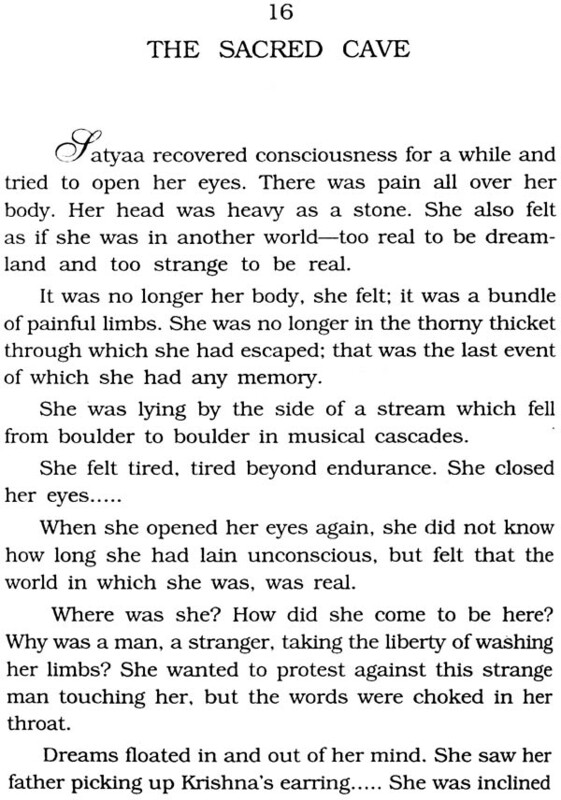 I therefore had to reconstruct this period from whatever material I could gather, however scarce. 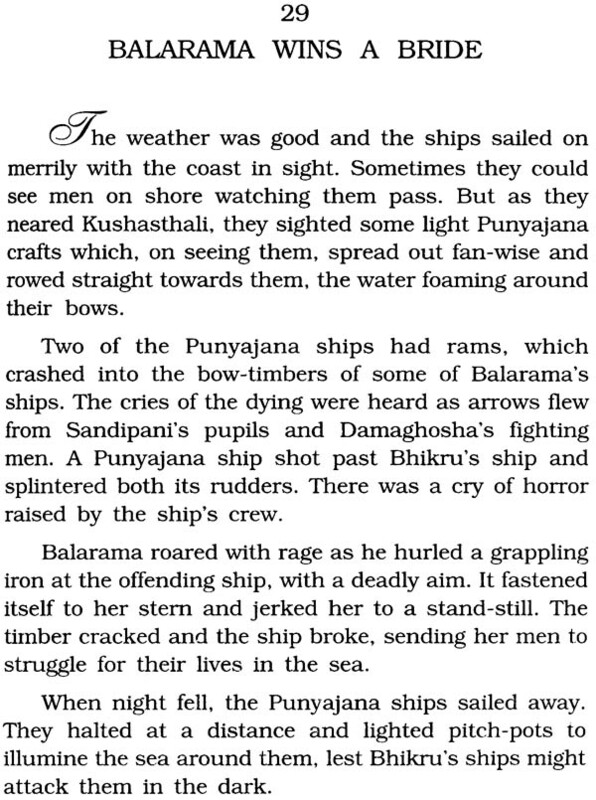 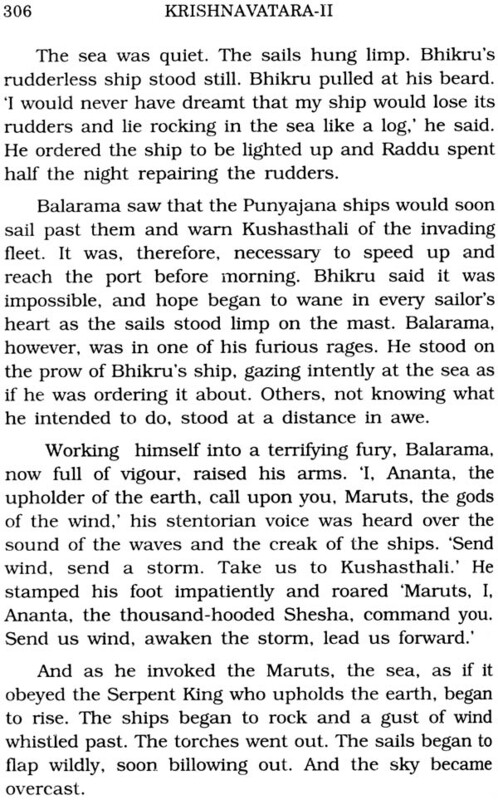 Vyaasa survived the Bharata war and is considered to be the author of the original Mahabharata. 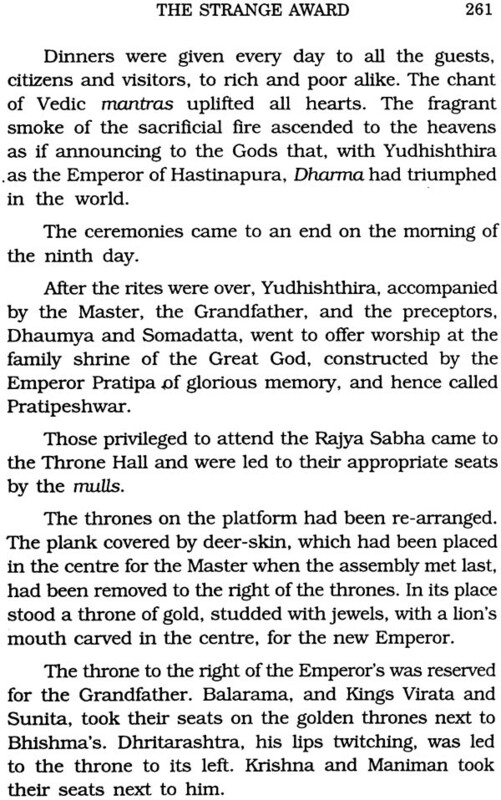 on which, with interpolations and additions, the present structure of the Epic rests. 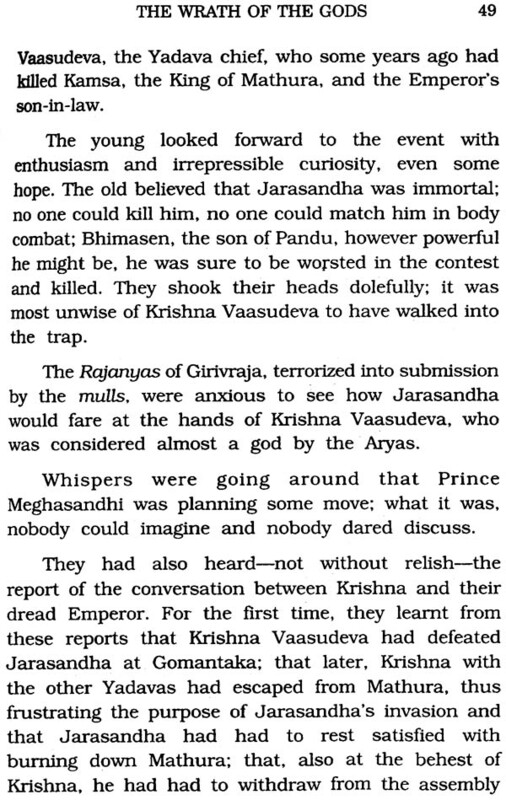 The Puranic literature also attributes most of the Puranas to Vyaasa and contains fragmentary references to some events in his life, sometimes of a very contradictory nature. 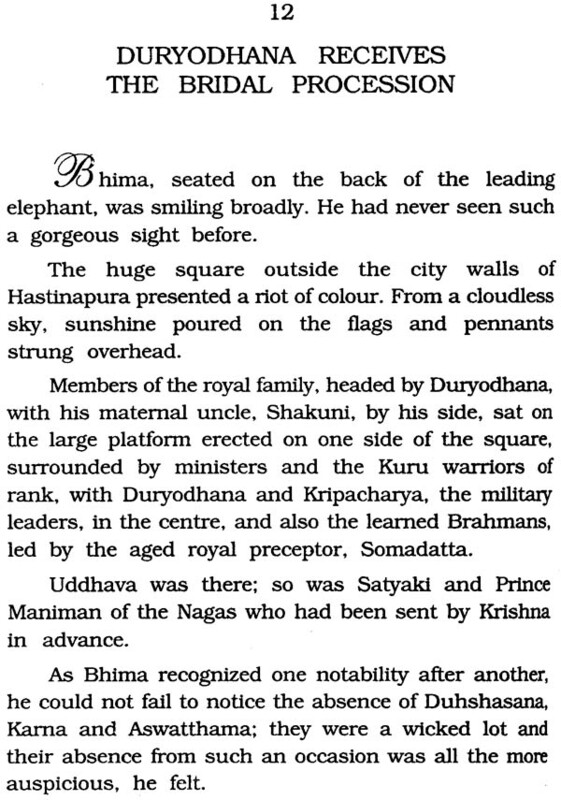 However, on the whole, he was accepted during his lifetime as the 'Master' (Swami), the great architect of Dharma. 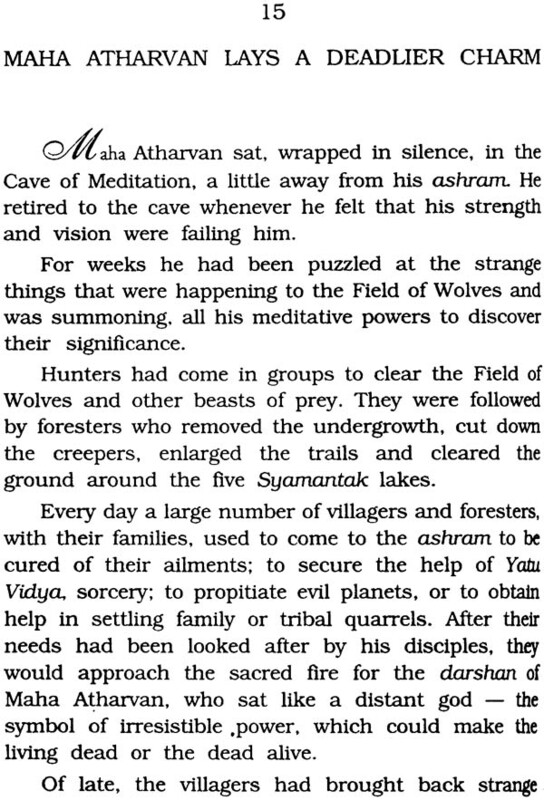 These references are all silent as to how he carne to attain the position he did when he emerged in the world of the Epic. 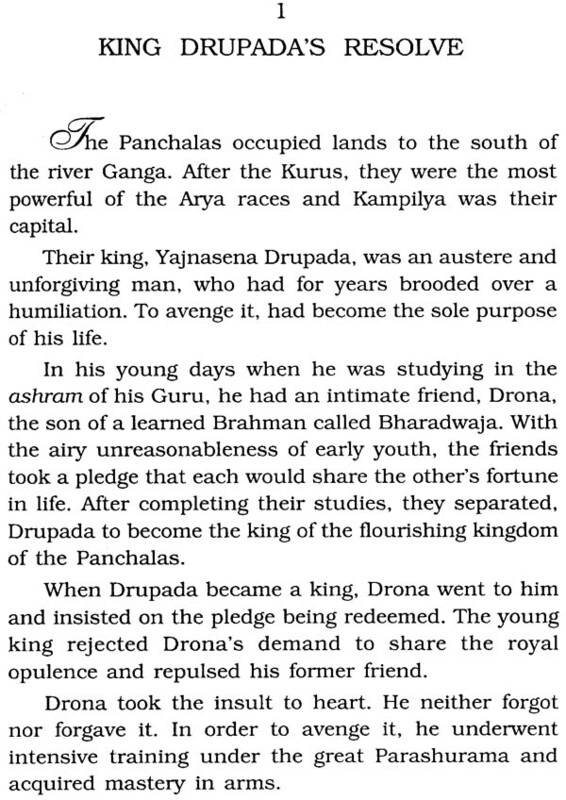 The Shrauta literature reflects a struggle between the school of Trayi Vidya - Rig. 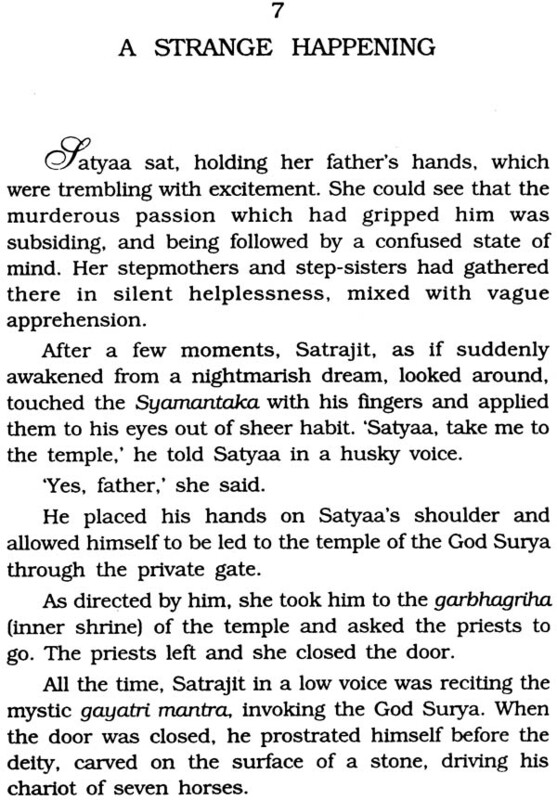 Yajur and Sama - on the one hand and of the Atharvana-Angiras on the other. 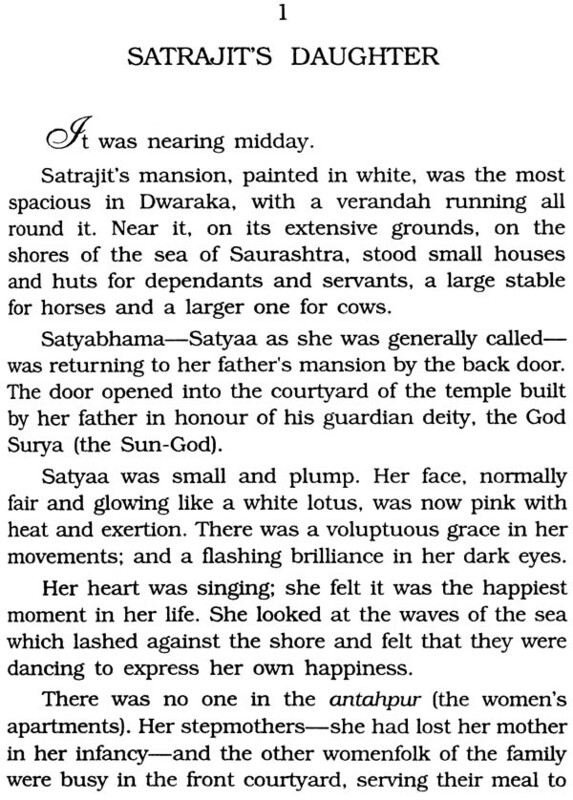 The Trayi Vidya school looked upon the Atharvana school with contempt because its lore. 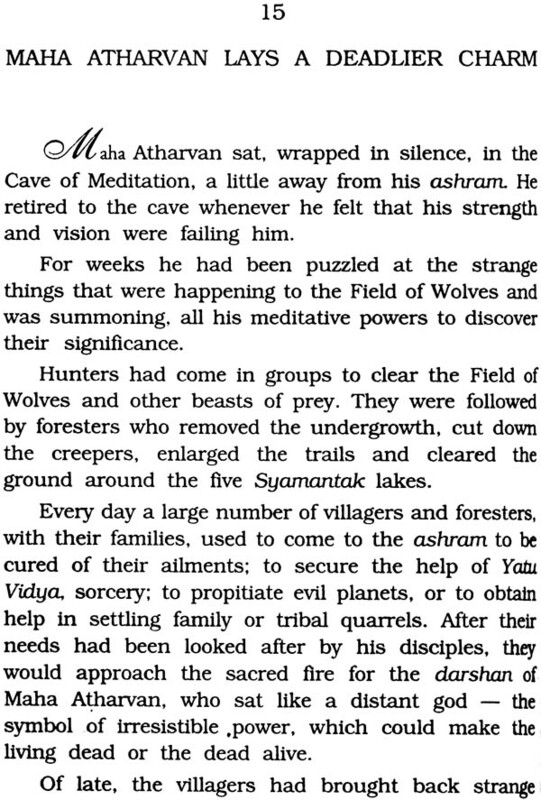 among other things, included sorcery (Yatu Vidya). 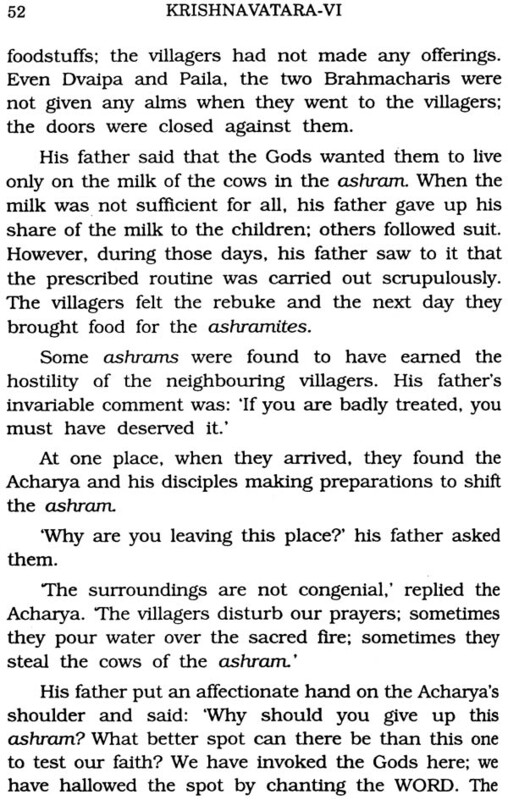 medicinal practices (Bhishag Karmani) and state-craft (Raj Karmani). 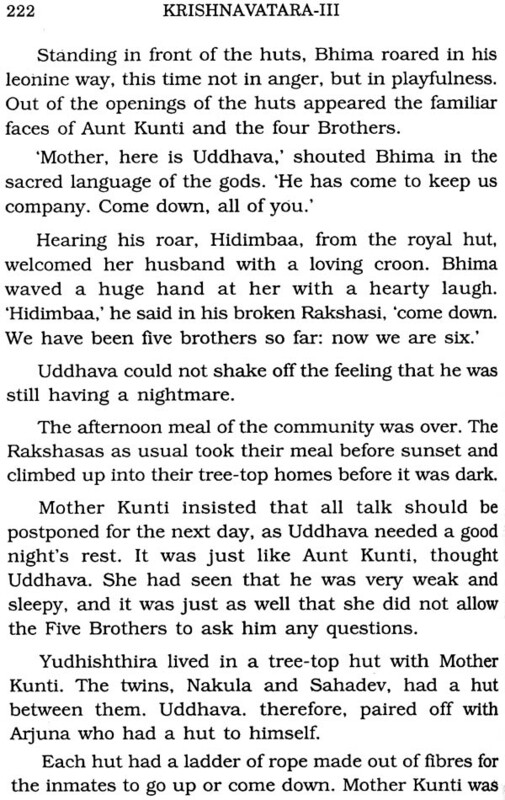 The Atharvana rishis appear to have been denied the office of Brahmaa, one of the four principal ritualists at the sacrifices. 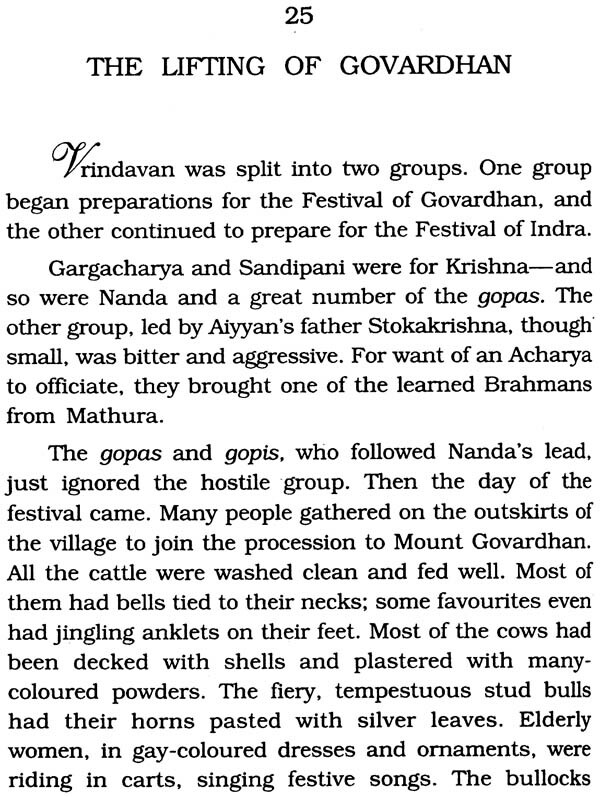 Evidently this schism ended in favour of the Atharvanas. 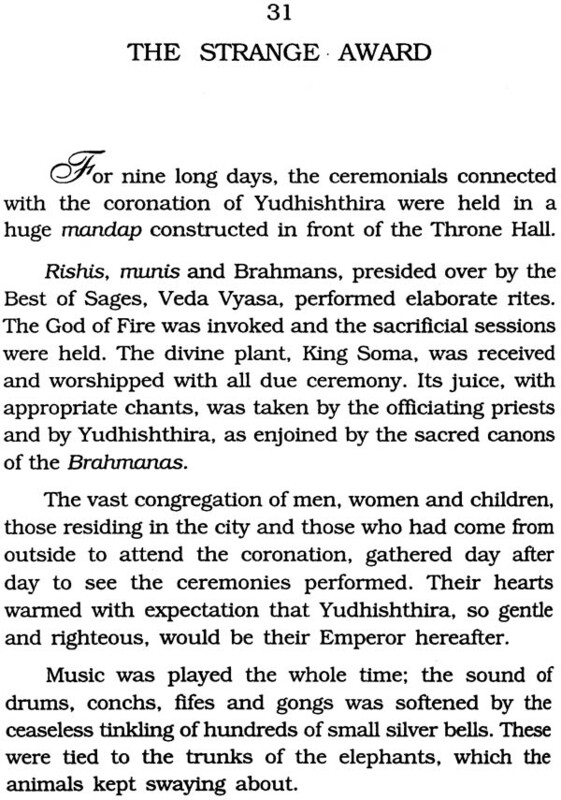 Their sacred chants were accepted as an integral part of the Vedas and the Atharvana-Angiras rishis were accorded the status of Brahmaa at the sacrifices though they were barred from reciting Atharvana mantras at the sacrifice. 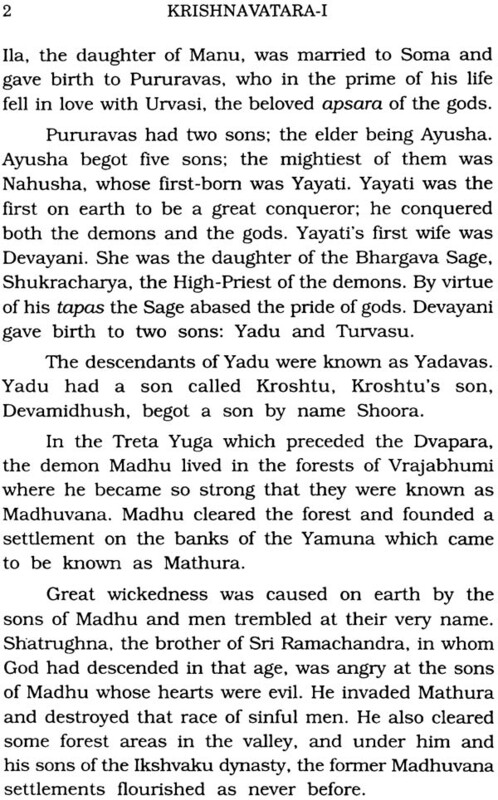 The Puranas give the guru-shishya origin of Veda Vyaasa. 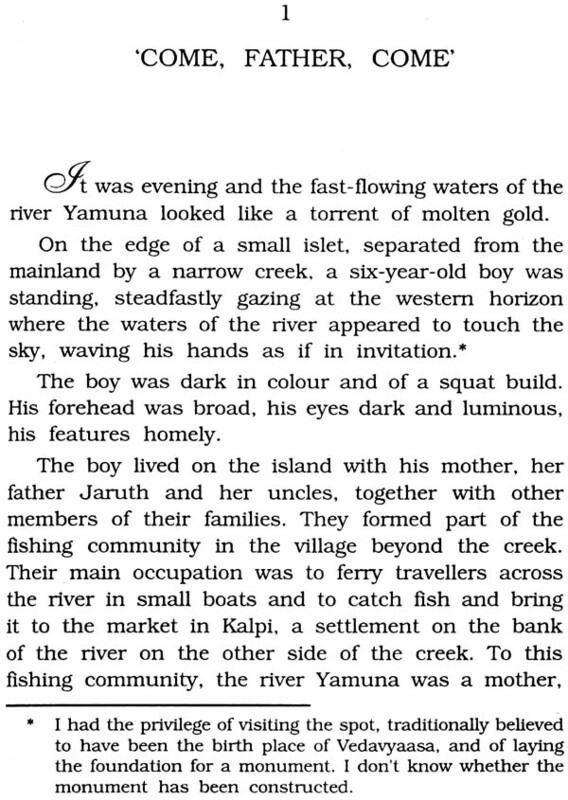 According to them. 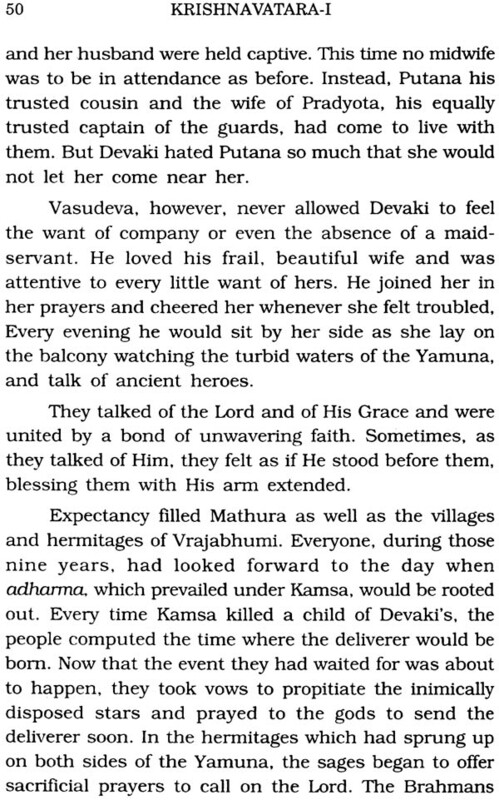 when Vyaasa organized the schools of Vedic lore, the Atharvana lore had won a place in the Shrauta rituals, and Sumantu was Vyaasa's first disciple of the Atharvana school. 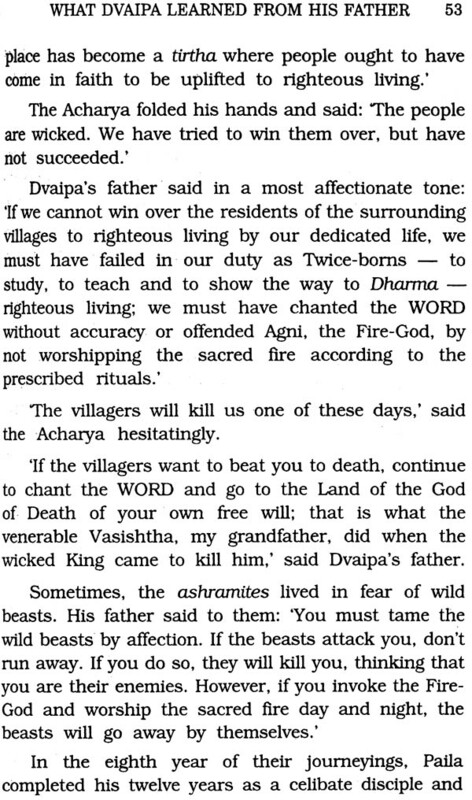 The second important thing which can be attributed to Veda Vyaasa is the standardisation of the WORD. 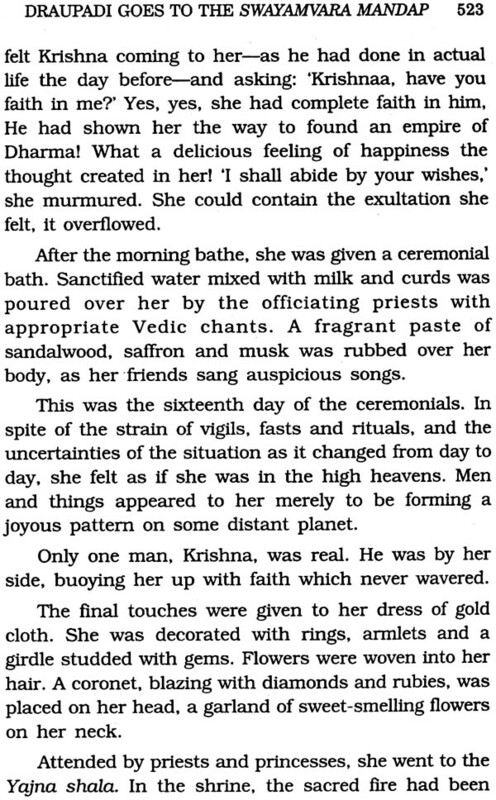 the order and the accents of every mantra- a standardisation which has come down to us intact from 3000 years ago. 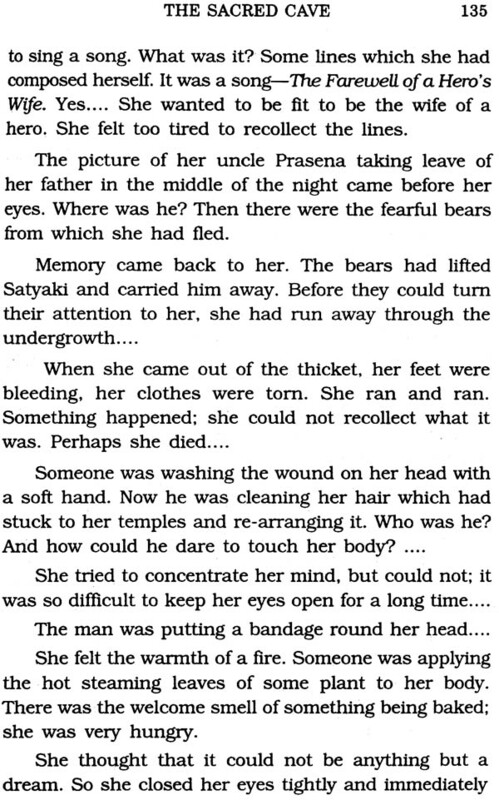 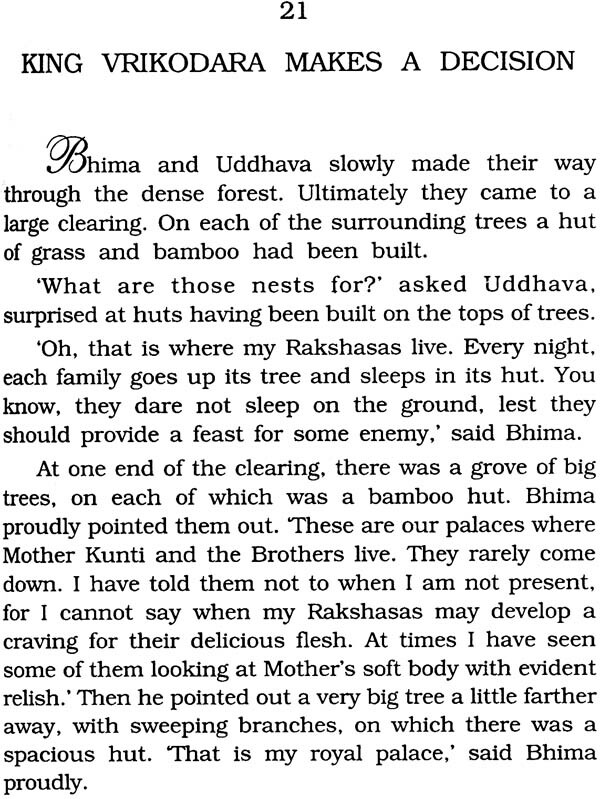 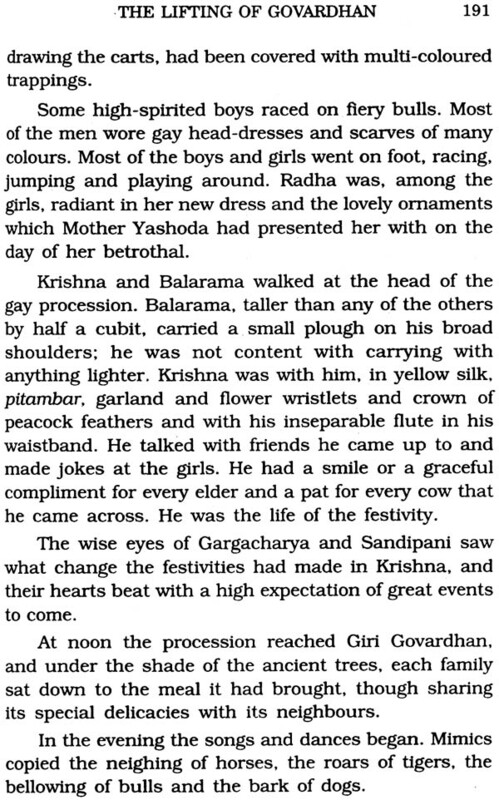 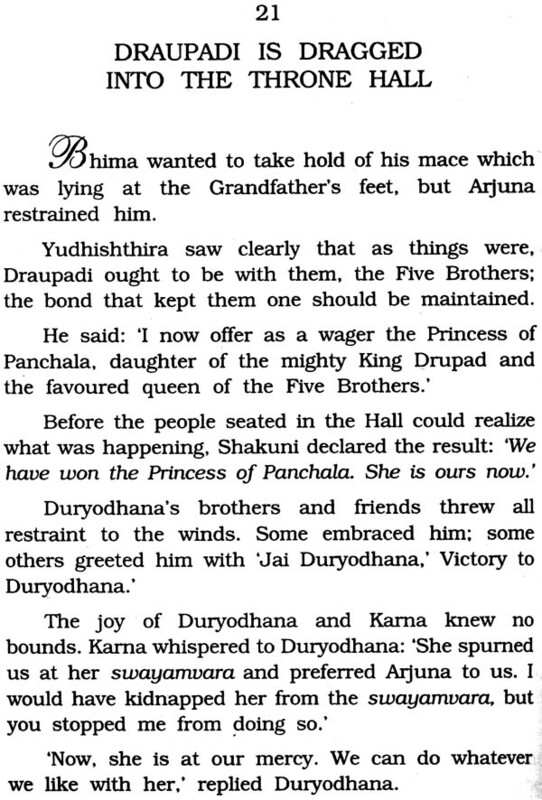 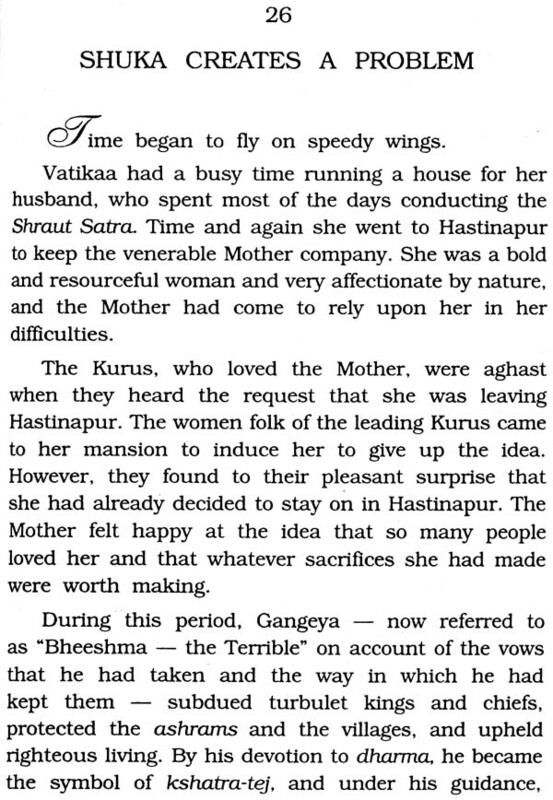 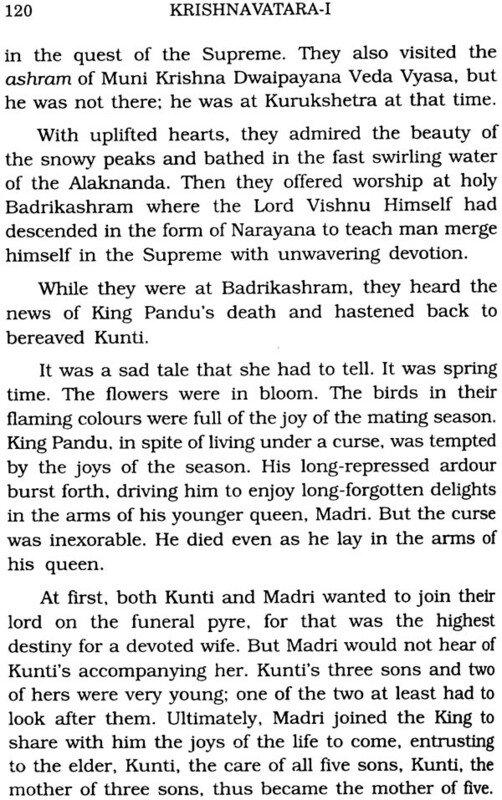 The Skanda Purana records a conversation between Vatikaa, Vyaasa's wife, the daughter of rishi Jaabaali her son. 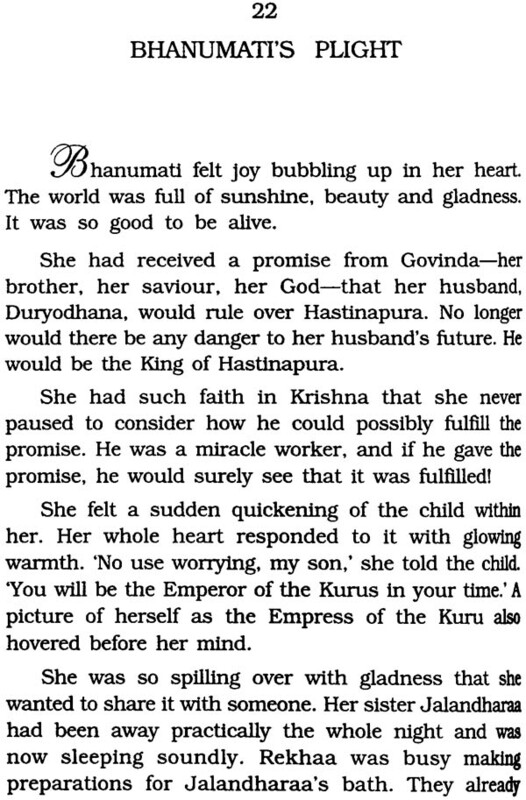 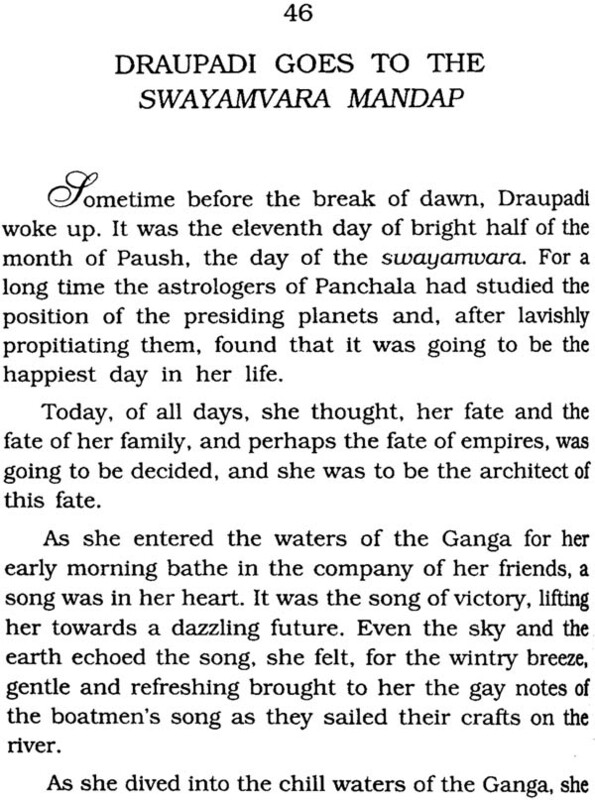 Sukdev, in which she tries to persuade the latter of the need for grahasthashrama, the founding a home as a stage in a dedicated life. 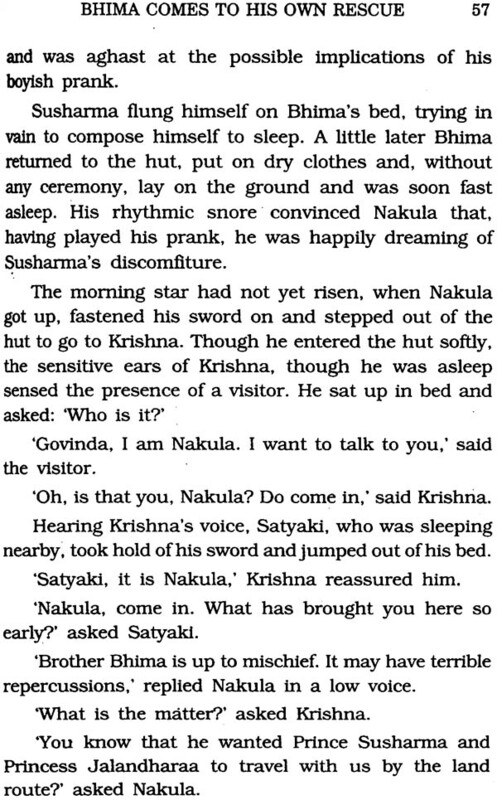 Sukdev is traditionally believed to have been a Sanyasi. 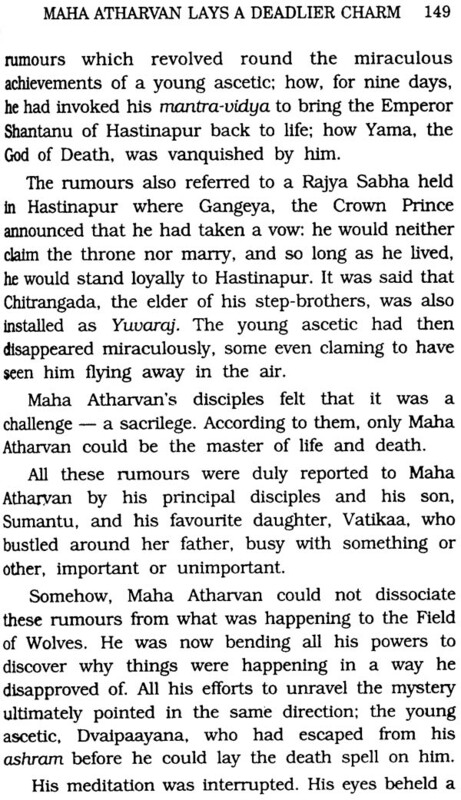 However, according to several Puranas, Hari Vamsa and Devi Bhagvat, he was married and had children. 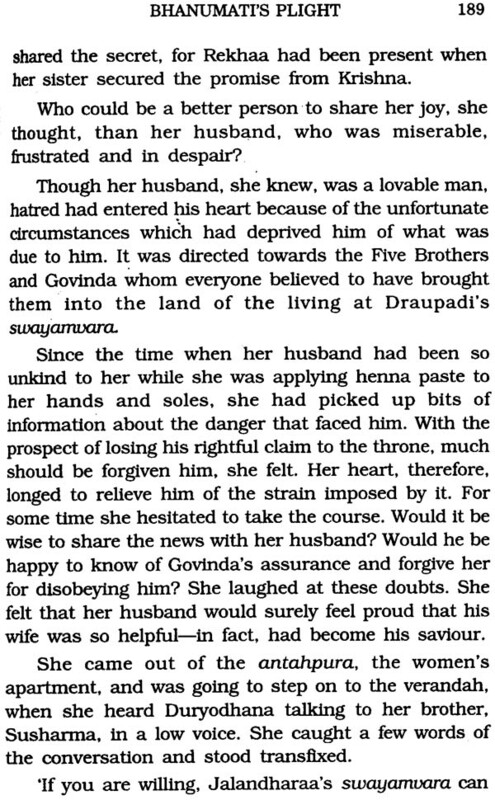 According to Devi Bhagvat, his wife was named Peevaree, by whom he had four sons and one daughter. 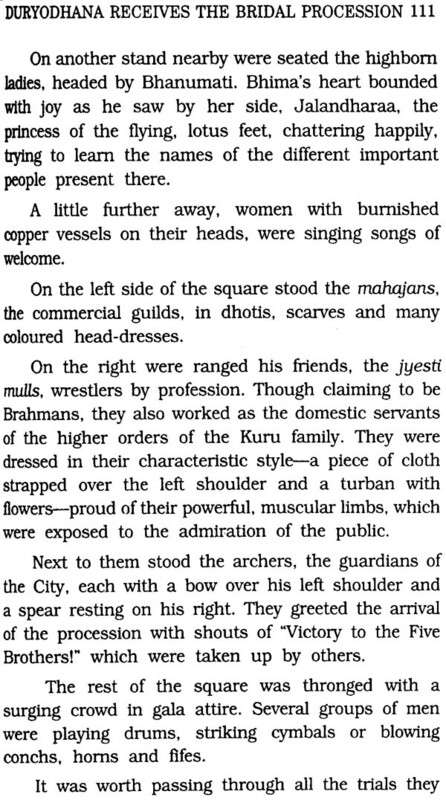 The establishment of the Order of Sannyasis, which traditionally accepted to have been founded by Sukdev under the inspiration of his father. 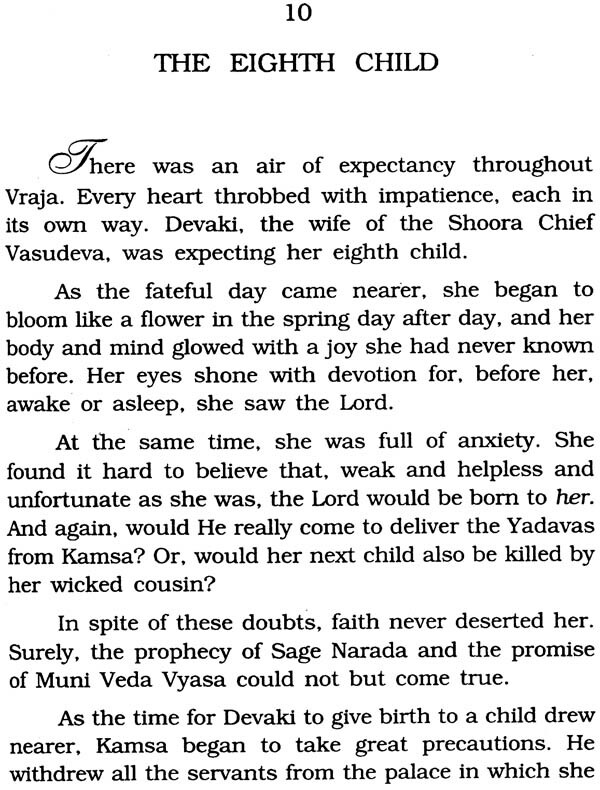 Veda Vyaasa himself, has been the firm foundation of a Sanatana dharma for well-nigh 30 centuries. 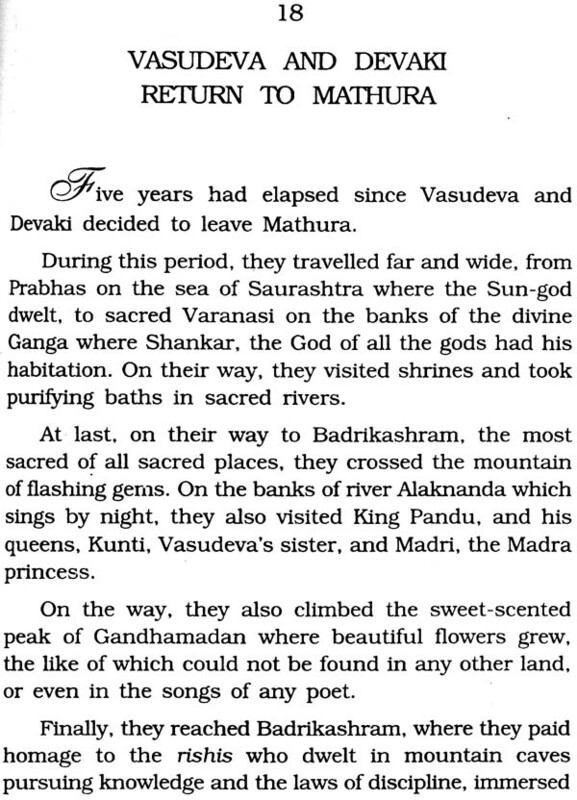 Adi Sankaracharya re-organized the Order under the name Dashanami Sampradaya. 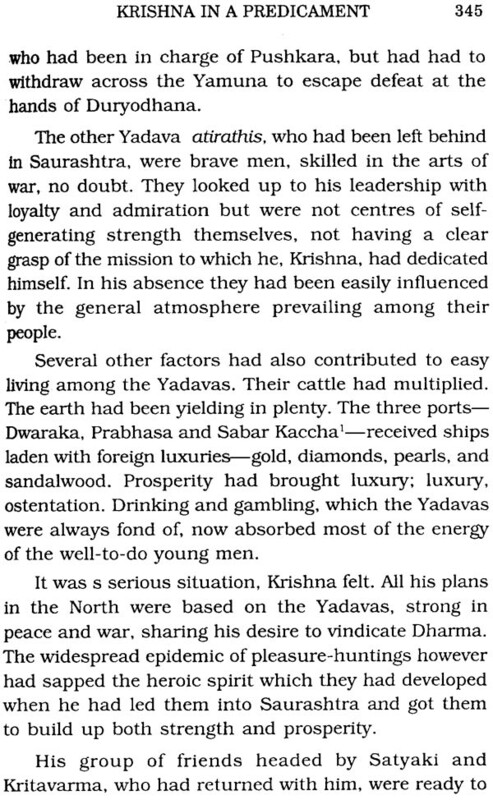 There is no reason to doubt that Vyaasa was the founder of the Order of Sannyasis, which has done and doing so much to preserve the inspiration of dharma and present its spiritual heritage to and nations abroad. 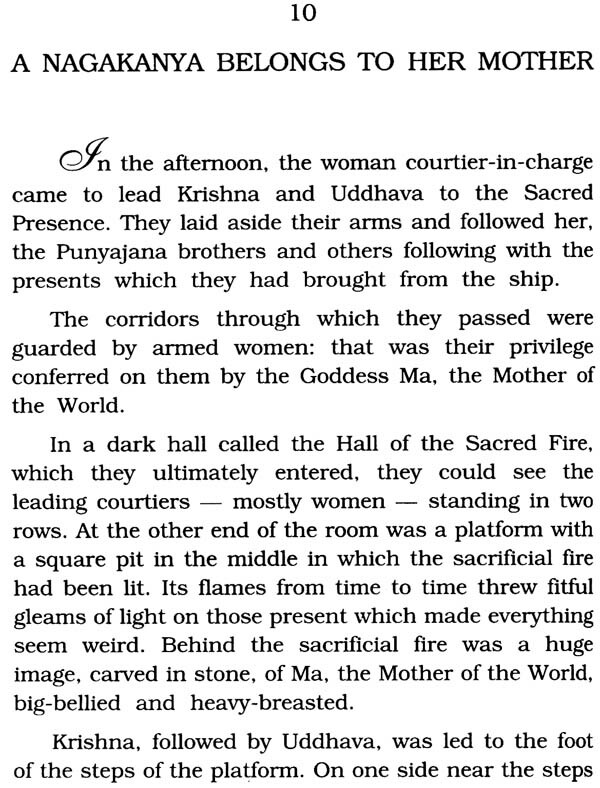 Sannyasis like Dayananda and Vivekananda and even Ramakrishna Paramahamsa and hundreds of other, who have been keeping the flame of Santana dharma alive in modern times. 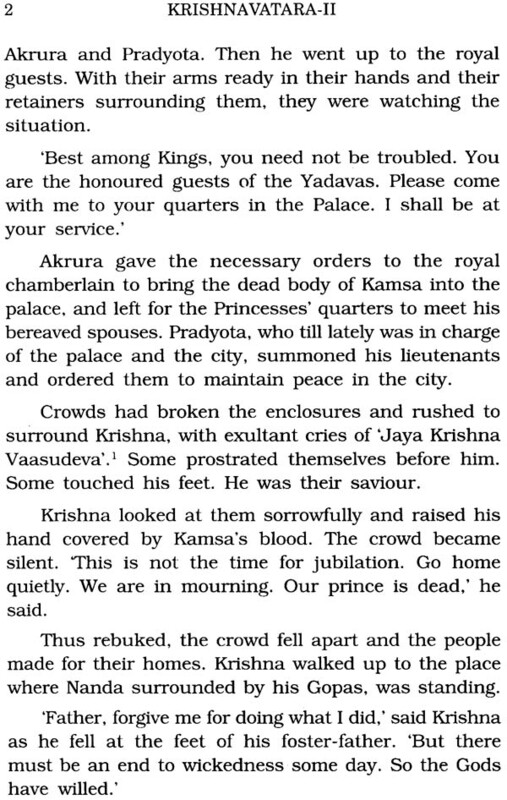 belong to this Order. 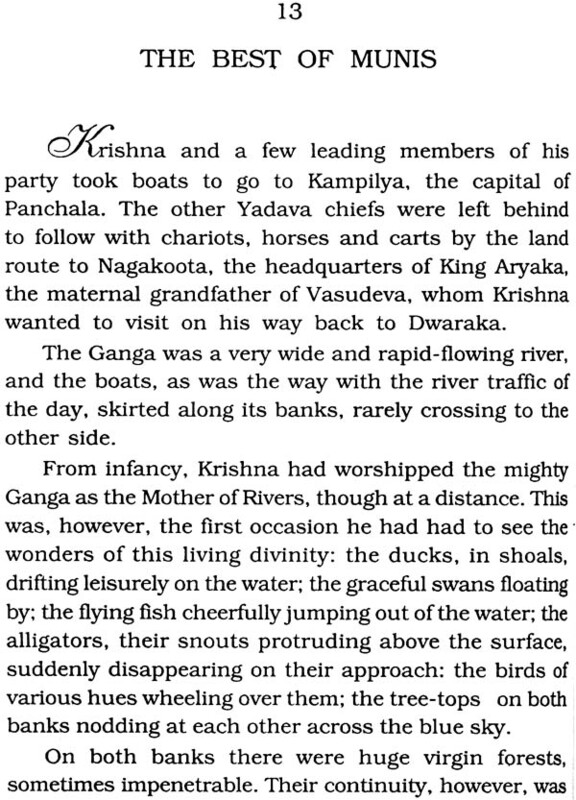 Throughout the Mahabharata, Vyaasa advises those in difficulties to go and take their bath at the sacred teerthas and purify themselves. 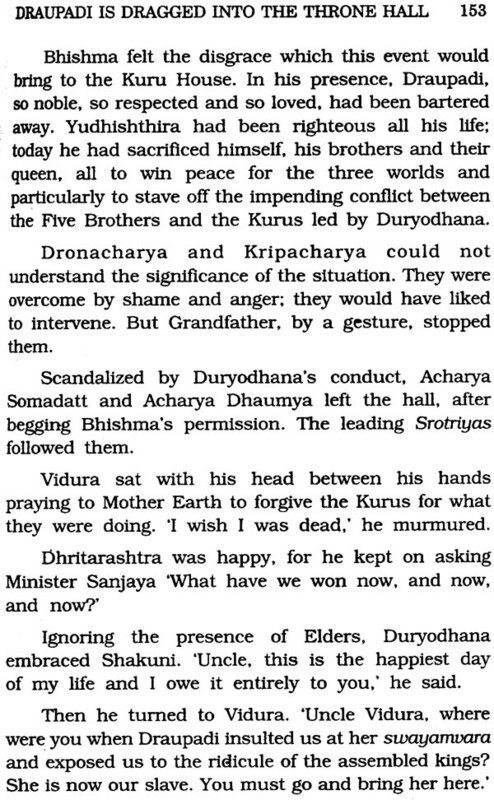 The teertha cult. 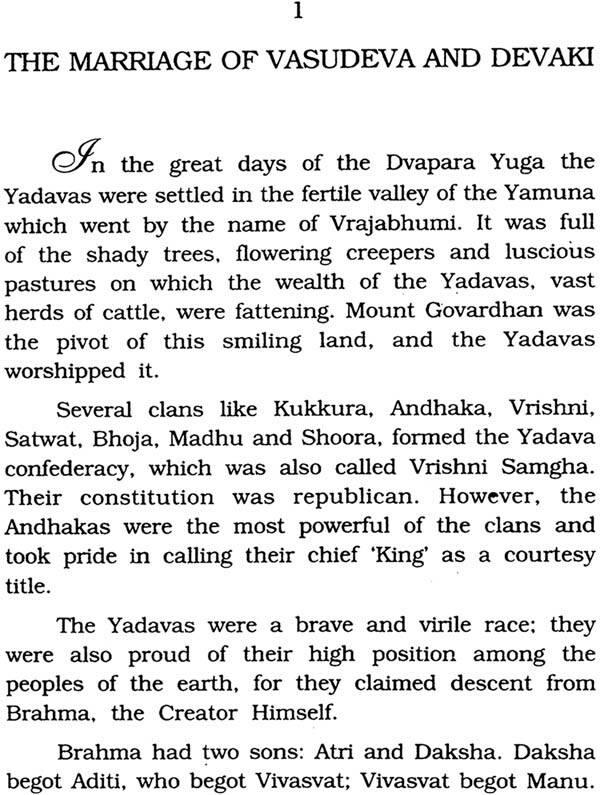 so unique, has preserved the unity of our country and the consciousness of the country's being one. 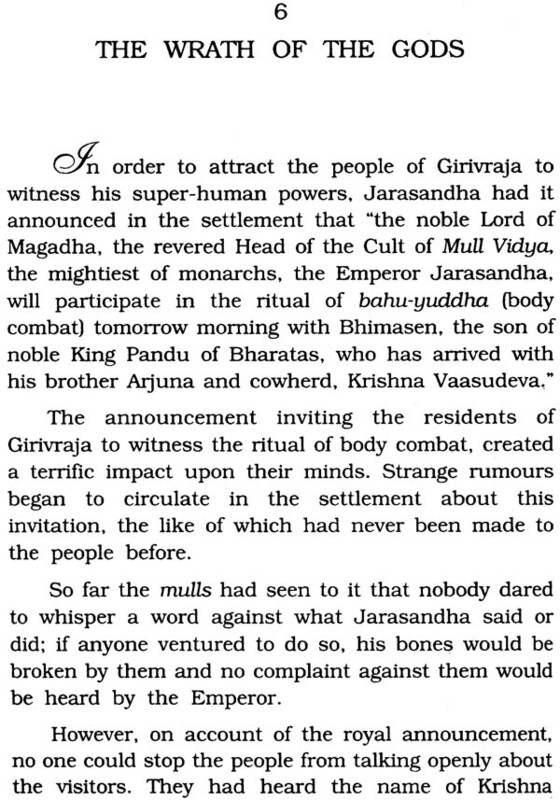 Veda Vyaasa appears to be the founder of this cult. 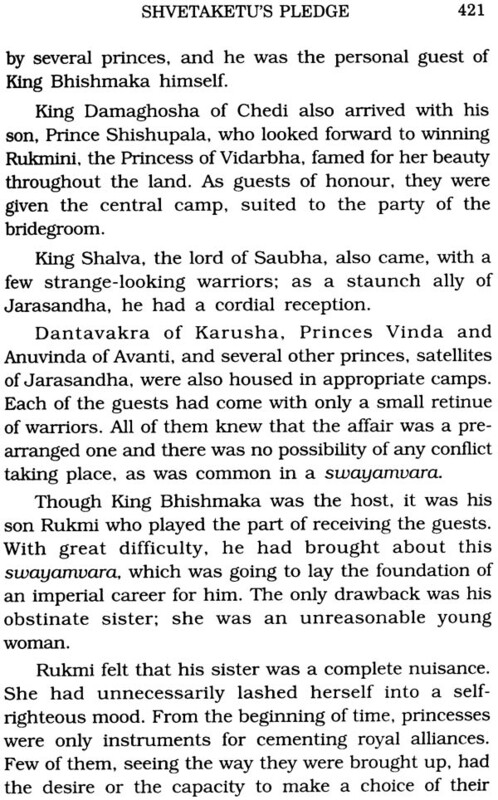 At any rate, it was he who emphasised the sanctity of the teerthas by attributing purificatory power to them. 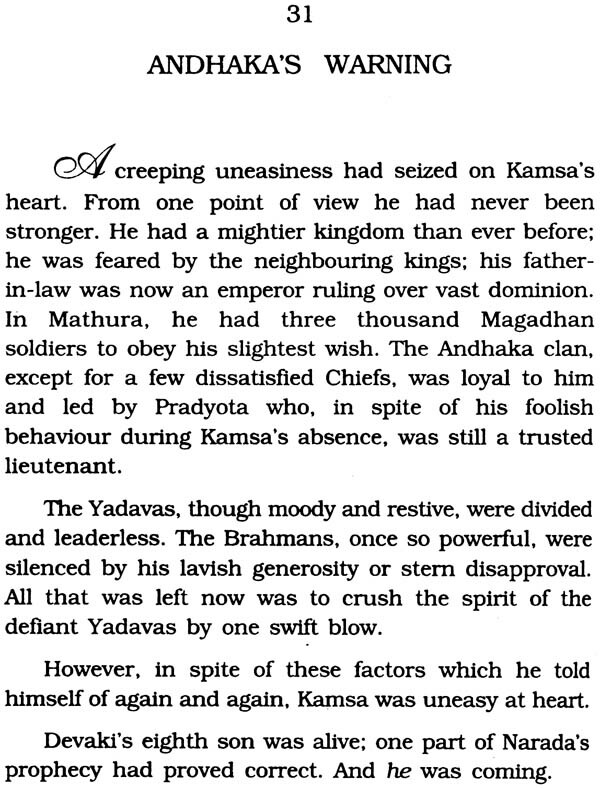 The social structure, the four-fold order of society - Brahmanas, Kshatriyas, Vaisyas and Sudras - was in the process of being institutionalised in Veda Vyaasa's lifetime. 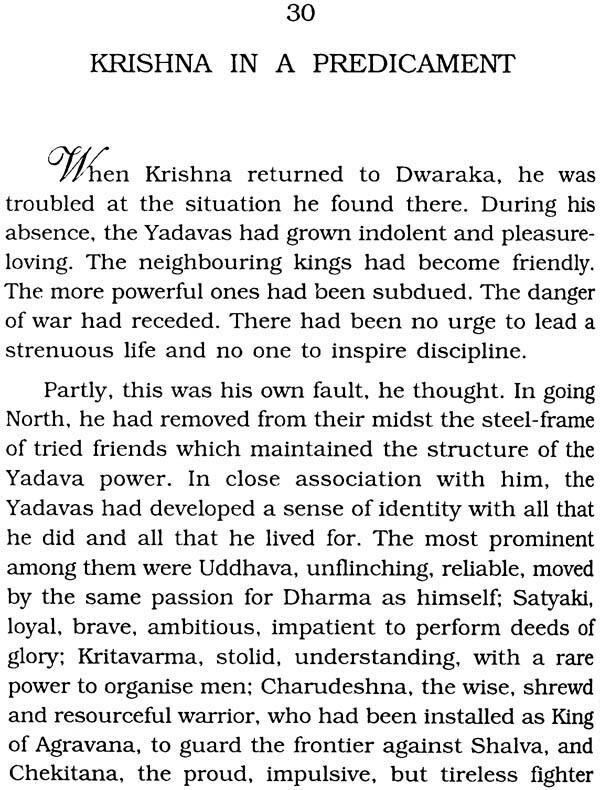 It was not a rigid social system. 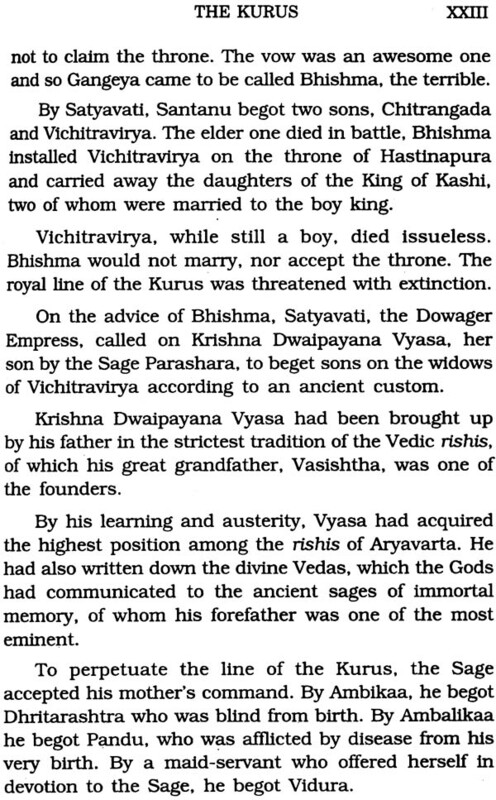 Vasishtha, the greatest of the Vedic rishis, was born of a hetaira. 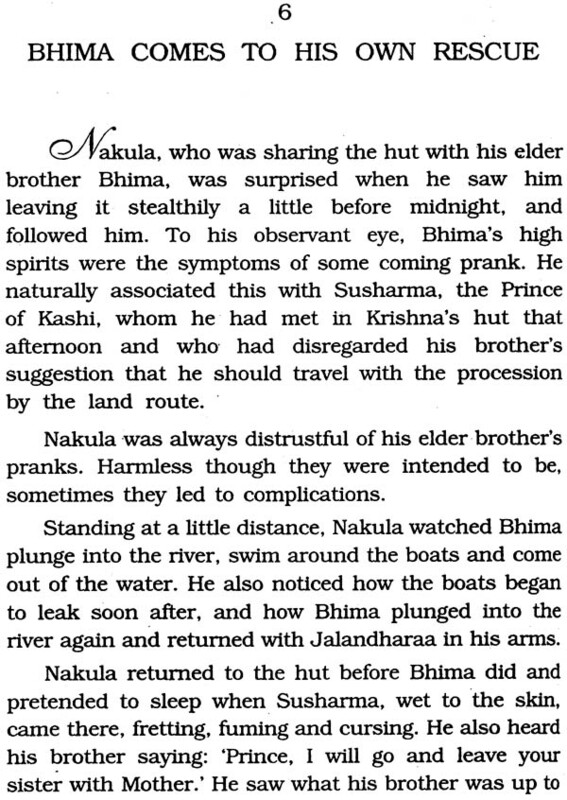 Vishwamitra, the son of a king, became a rishi. 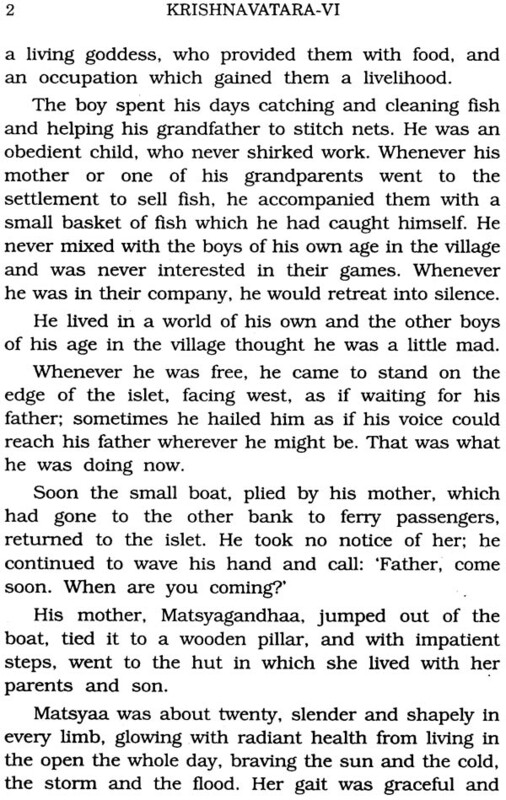 Veda Vyaasa himself was the son of a fisher girl. 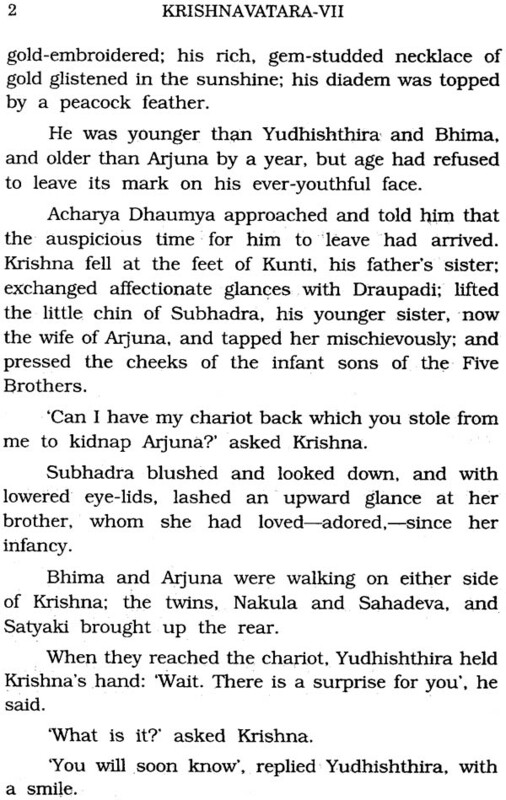 Sri Krishna's father, Vasudeva and Kunti were born of a Naga princess; some of his ancestors inter-married with the Nagas. 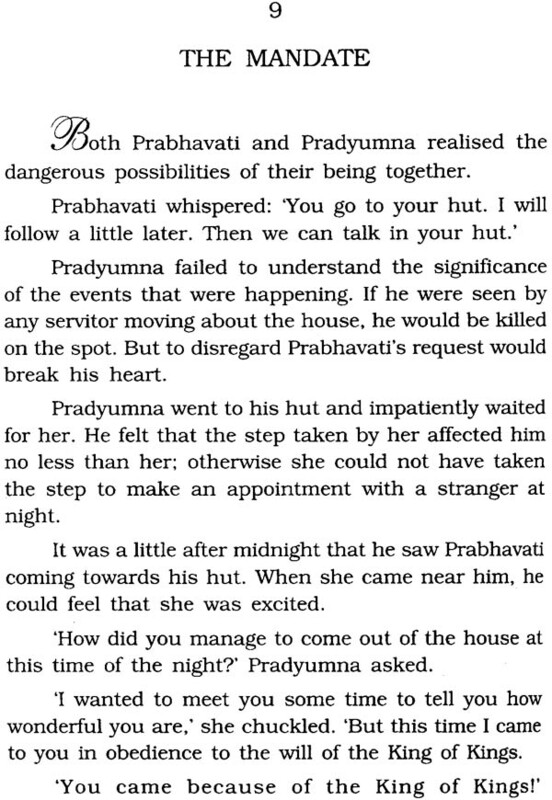 Bheema married a Rakshasi named Hidimbaa. 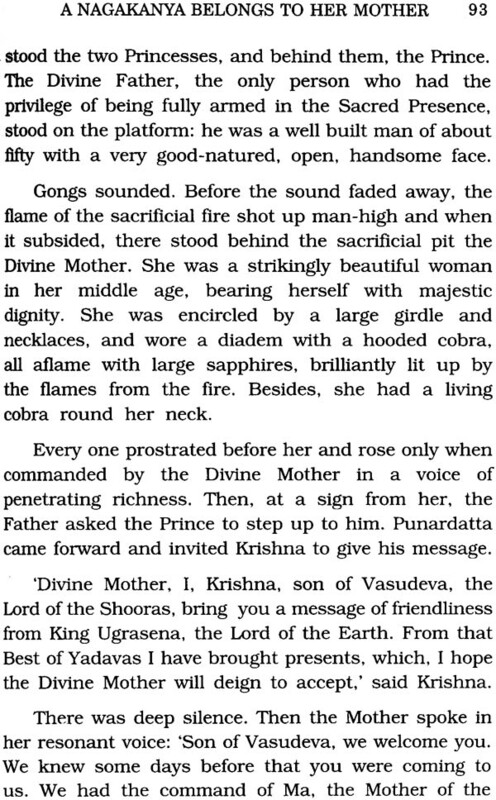 AIjuna had Naga wives. 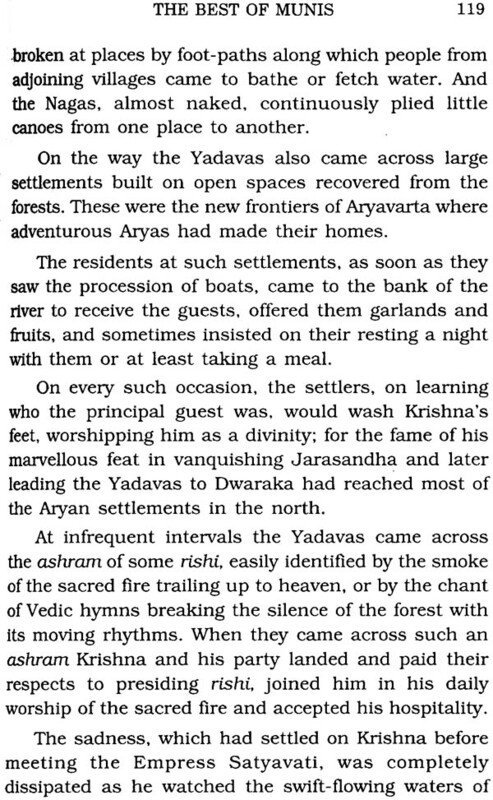 With the advance of Aryan culture in the country, all the people who came within the orbit of the Sanatana dharma, were provided with a social status. 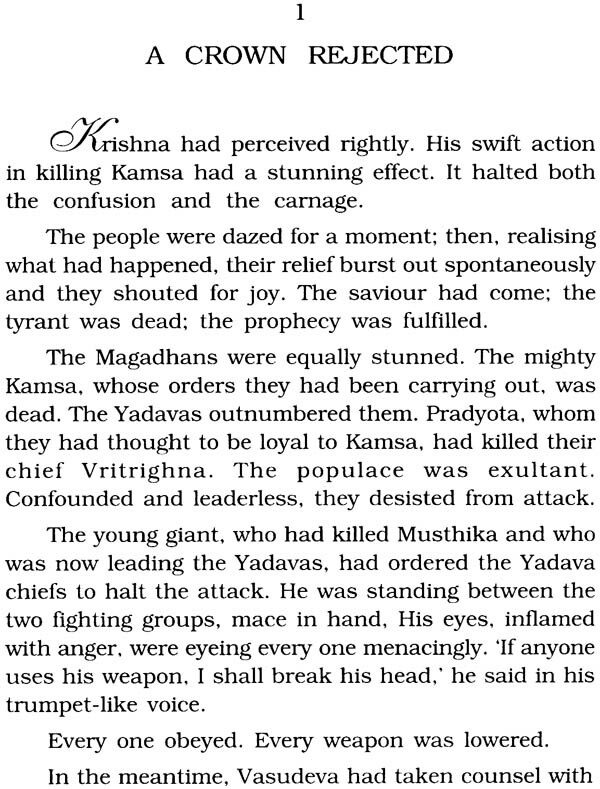 Vyaasa was a mighty figure accepted on all hands as the embodiment of dhanna. 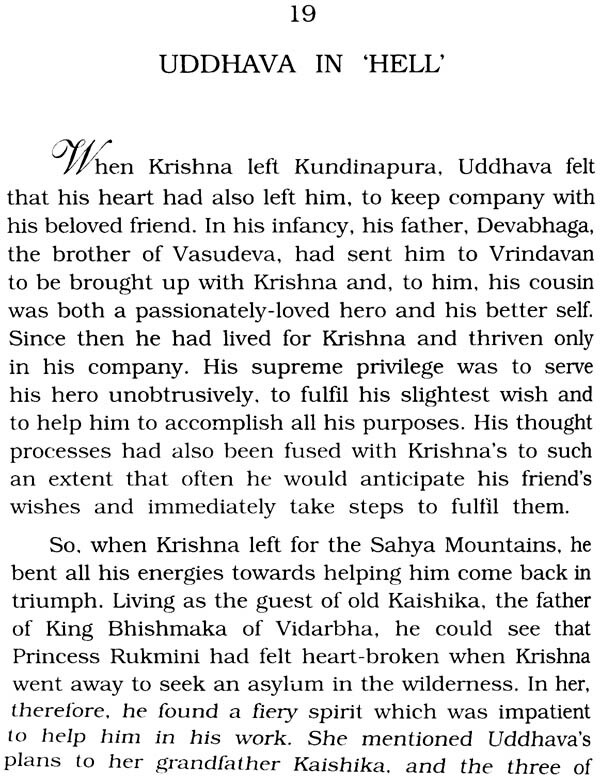 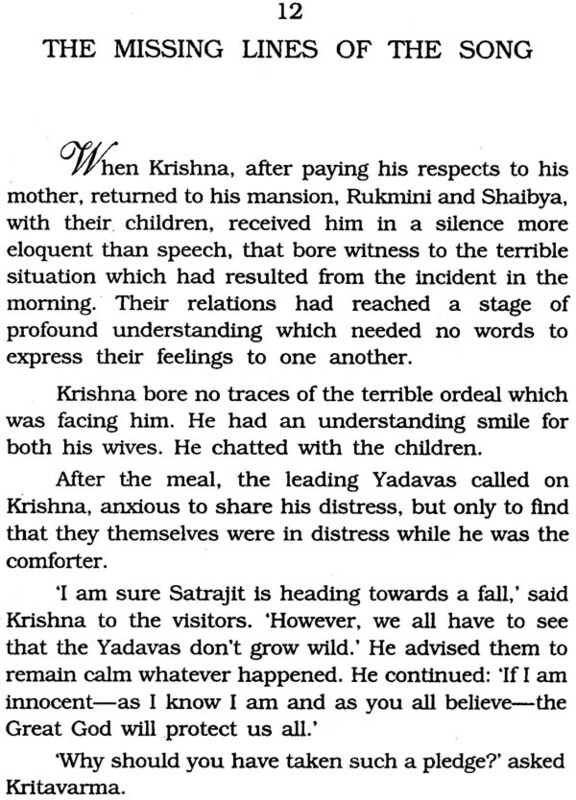 In the Bhagavad Gita, Sri Krishna even identifies Vyaasa with himself. 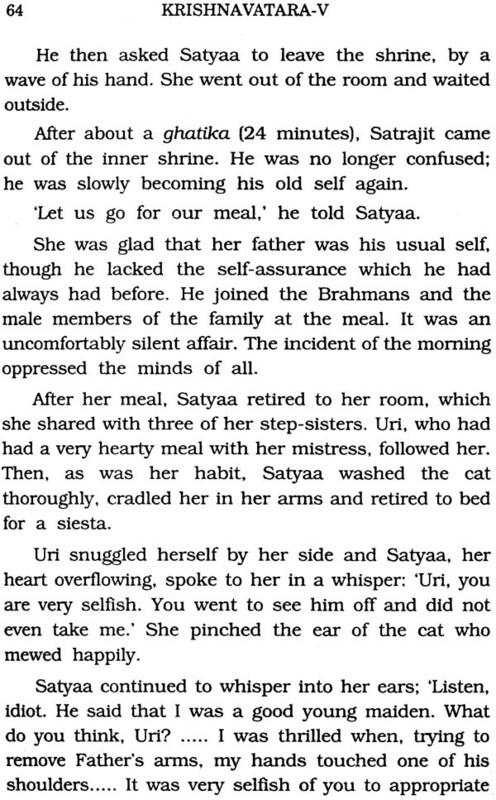 The Yogic school accepted him as the ideal Vitraga, though he had a wife and son. 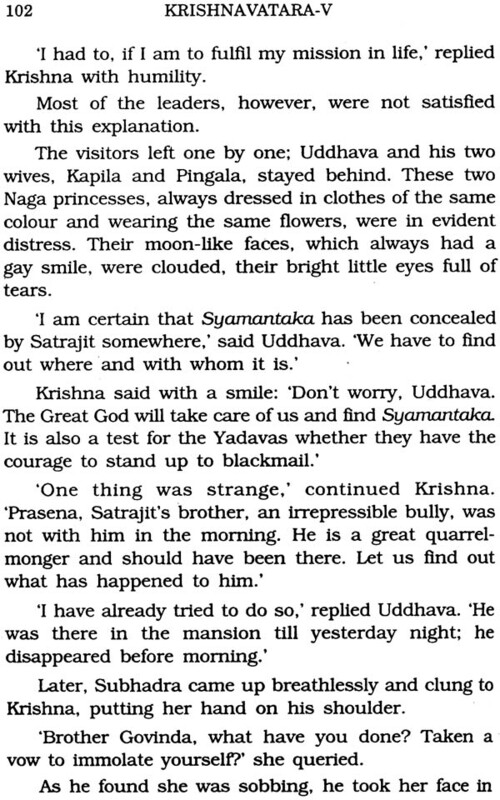 He was considered to be Vishnu with two arms and not four; as Brahma with one face and not four, and as Shiva without the third eye. 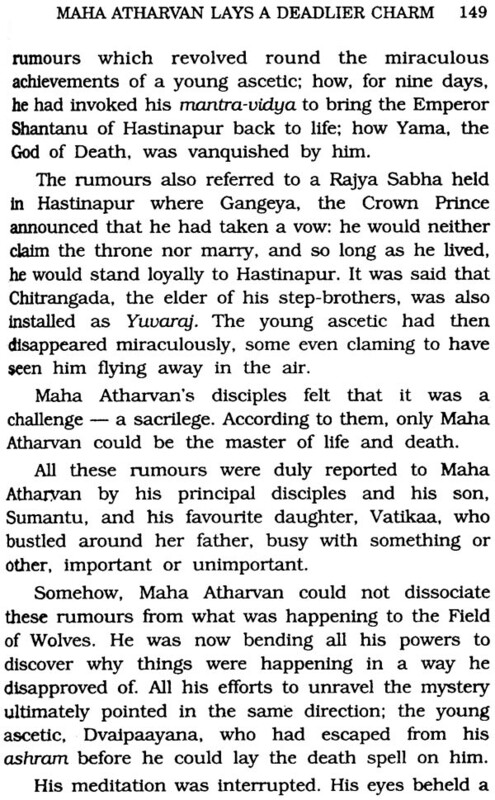 In fact, several Puranas accept him as one of the avataars of Vishnu.